Whatever the challenge, we support customers through the design and manufacture of modest volumes of complex products. From new product introduction to product assembly using our skilled workforce, supported by our factory-wide IT system, we have a solution to meet you needs. 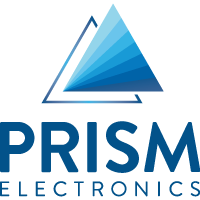 Prism’s facilities are 100% dedicated to Contract Electronics Manufacturing and are primed for the most flexible response to changing requirements. This is particularly useful at the front-end of new projects where there are more opportunities for problems to arise. We continually invest in people and processes in order to provide exceptional levels of quality and service. Using modern ERP and MES software to provide speed, control and visibility to our manufacturing operations, we measure ourselves against strict KPI’s of quality, cost and delivery, to provide continuous improvement opportunities and ensure your products are built right first time. Rapid prototyping and rework facilities down to 01005 components. Tin-lead and RoHS compliant lead-free manufacturing. Build and Inspection to IPC610 Class 3, operators are examined on site by our certified trainer. Full build and component traceability supported by MES and ERP systems. Production lead times from 24hrs. PCB production batches sizes from 1’s to 1000’s. Automatic surface mount component assembly with on-the-fly component verification of all industry standard package sizes (to 01005, fine pitch placement to 10µm, micro BGA and QFN). Manual through-hole component assembly with flow and hand soldering. Experience in processing FR4/Aluminium/Flexi PCB’s.